The perfect garden party. That's what the Aria Collection calls to mind. This timeless dining collection is design is elegant without being too elaborate. Available in shade grey, with two sizes of dining tables to match, 48" round and an extendable that measures 44"x71"/103". 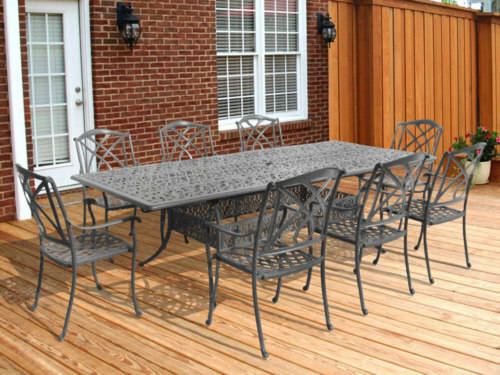 Made to endure season after season with a durable powder coated finish, you are sure to love the Aria collection.